Just when you think that youâï¿½ï¿½ve explored all there is to offer in terms of entertainment in Kemang Raya, think again. Places like Bremer still give hope for those who are desperate for unpretentious, humble and F-U-N places to hang out in Kemang. As their name suggests Bremer is a beer garden, i.e al fresco, wooden chairs, tables, candle light, big trees with lanterns and fantastic music! Yes, sadly this place does hold a pre conceived notion that only 20 year olds hang out at Bremer for the cheap beer. However, once you exit the passage way, and can find a seat especially on weekends, you will notice a range of people from all walks of life and nationalities hanging out there. No fancy dresses required for this place and the only prerequisite you need is that you are a beer lover with intentions of having a great time. When you see their drink menu, you will know that this place is the place to be, if you believe in the principle that the more there is the merrier! 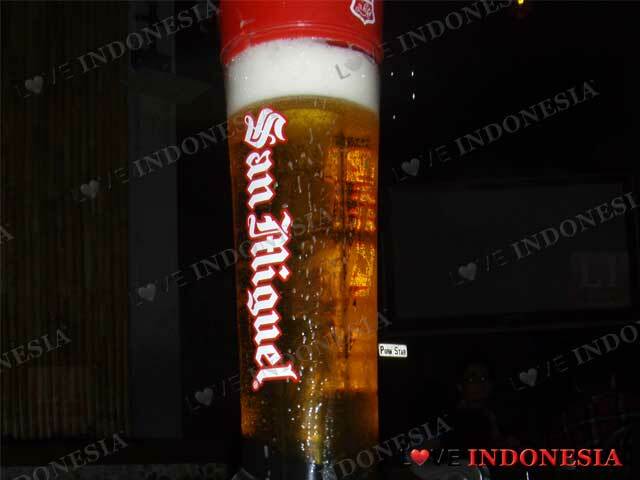 They serve their beers from a tower (equivalent of 4 bottles), a meter of beer with beer of choice (equivalent of 5 bottles) and of course the beer bomb which consist of Vodka mixed with beer and tequila. Perfect for beer skulling competitions with the boys! For you ladies, who prefer a sweeter taste; can try Bremerâï¿½ï¿½s flavored beer such as Lychee, Strawberry, Vanilla, Mocha and Melon. They also do a selection of delicious snacks and light bites. Yummy! Make sure you have a designated driver ready as a combination of cheap prices and good tasty beer is absolutely dangerous if you know what we mean. Speaking of driving, parking is slightly inconvenient at Bremer especially during the weekends. So make sure that you are fond of walking and best of luck finding a space. For you less fussy folks, we would like to recommend the ojek as a means of transportation. What is near "Bremer Beer Garden"?